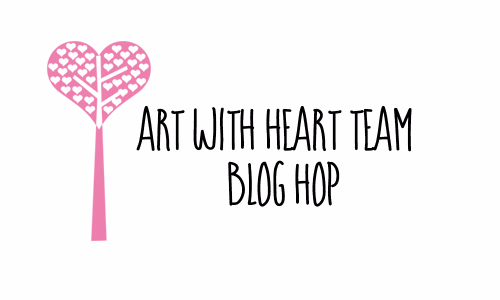 Today I'm excited to bring a blog hop with some the awesome ladies in the Art with Heart Stampin'Up! Team. Today we focus on the kids in our lives, from birthday cards to party ideas. Sale-a-bration continues and this week we have three new additional items you can earn for free with a $90.00 order - ask me how! 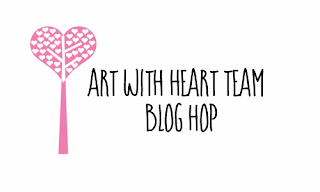 You have come from the lovely Rachael Woollard, blogs are full circle so you can start hopping here and then at the end of each post is a link to the next. There is also a list of participants at the end in case of any broken links. 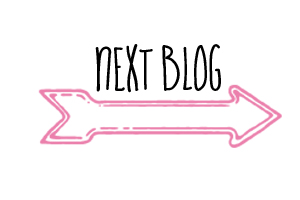 Today I am sharing 4 projects, these are mostly for the little man in our lives and can easily be converted to the pretty pink colours for the girls. My 1st project is a party favour bag I made with my punch board using the Party Animal DSP Paper and I used the Star Punch for the top of the bag unfortunately you are not able to see it clearly and using one of the free sale-abration stamp set Tasty Trucks I fussy cut it, and using the new and gorgeous Water colour pencils to colour in with. I attached a gold fold back clip and glued a yellow star on it. Calipso Coral seam binding ribbon for the bow and Calipso Coral thick Bakers Twine to hang the balloons. Balloons are from the Balloon Pop-Up Thinlets. My 2nd project is a birthday shaker card using the Carousel Birthday stamp set, I stamped the carousel in Calipso Coral, for the cup cakes I cut them out using the Up & Away Thinlets, I fussy cut the carousel horse and just cut around the Happy Birthday and a strip of Bermuda Bay striped ribbon under the banner. My 3rd project was a fun one to make, I made this double windmill using the Cupcakes & Carousel DSP paper stack, I made a rosette to cover middle, the straw is covered with Calipso Coral Binding Ribbon and used some for the streamers with some Pool Party and Dapper Denim ribbon. My 4th and last project is a favour box using the Curvey Keepsake Box Thinlet die, one of my favourites to use, I put a Rosette on the front and behind I attached the Star Blast banner from the Star Blast Edgelits Dies and on the right side 3 gold star sequins. Wow, you have been busy and created some fantastic projects. Love, love, love the windmill and the shaker card is very cute. Thank you so much Tania for your lovley comment.. I loved the windmill too. Love the stars on the curvy keepsake box. Great projects! Thank you so much Rachael. You can do a lot with the stars. Thank you so much Alisha. They were all fun to make. Really great projects Mon, and yes, they could be used for boys or girls. Loved your windmills too - they looked very festive and would be great for decorating the party table. Thank you so much Mary. So many things to make for kids parties. Your windmill is totally adorable! Thank you so much Catherine, I loved the windmill too. These are awesome, Monika. I especially love the windmill. Thank you so much Tina, I love doing kids projects. Love how you tied the balloon die cuts upside down on your first card, very clever, and the curvy keepsake with the stars and rosette, is gorgeous! Thank you so much Kate. Rosettes are my favourite thing at the moment.